Getting turned down by a bank for a personal loan can come as a serious blow, especially when you were really expecting to get that cash soon. But instead of panicking, you should concentrate on the reasons why your loan request got rejected so that you can quickly rectify them. To be honest, the bank loan approval process can be confusing and a bit random at times, so it is very important to keep all your grounds covered. If you are yet to apply for a loan, then it can also be a great time to make sure that your loan doesn’t get rejected 1. No job stability Banks often put a lot of importance on job stability, and some of them even ask for at least three years of experience before you can apply for a home loan. 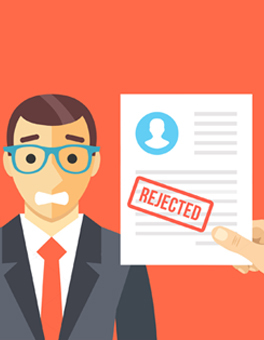 In some cases, if a bank notices that the applicant is working for a company whose future is rather unpredictable, it can reject the loan request. 2. Your co-applicant has a bad CIBIL score It is not enough that you have a good CIBIL score, if your co-applicant (whether it’s your spouse or business partner) has a bad credit score, then, in that case, your loan request can still get rejected. So before you apply for a loan, make sure both you and your co-applicant have a good credit repayment record. 3. You address is the same as a previous defaulter If you live in the same place as a previous defaulter who missed a credit card or loan payment, then the chances of your loan request getting rejected are very high. The reason being, once someone has defaulted, their information goes into the CIBIL database under the defaulter’s list, and the banks can access it anytime. 4. Delay in repayments of previous loans and credit cards Whether you have missed a few payments or a lot of payments to credit cards or loans, it will affect your CIBIL score badly. During the loan approval process, banks often check the loan or credit card repayment track record, and if they see a lot of delayed EMI’s, it can be a strong reason for rejecting your loan request. In some cases, banks also check repayment for insurance premiums. 5. Too many loans have already been taken If you already have too many loans that you are paying for, then the bank will consider your real income as your monthly income minus the loan repayments. If the banks think another loan will put a huge strain on your income or it will make it difficult for you to give repayments on time, then the bank has the right to reject your loan. 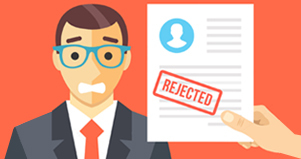 Getting out of the vicious loan rejection cycle While these are just some of the reasons why banks could reject your loan request, in reality, there can be a multitude of reasons making the entire approval process random. If you are looking for a quick cash flow and you cannot wait for the tiring loan approval process at banks, then we recommend using lending platforms like the CASHe loan app which can approve your loan and give you the required loan amount in less than 8 minutes. The best part is – those 8 minutes will be spent on your phone and not in a line.